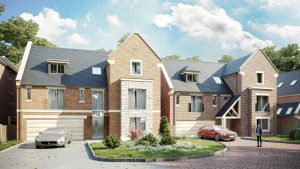 Gadsby Nichols Land and New Homes, a specialist department offering a bespoke service to developers. 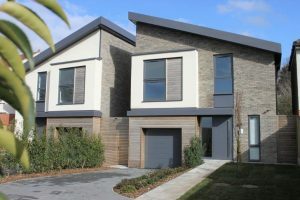 Gadsby Nichols have, for a number of years, offered a bespoke service through their Land and New Homes Department geared to providing experienced and highly professional support to developer clients. Our Development Consultants can undertake high quality and reliable site identification, acquisition and feasibility studies. 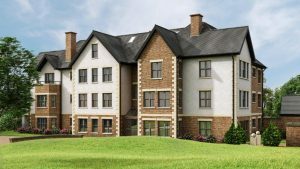 As well as undertaking site acquisition and feasibility studies, we conduct comprehensive market research and provide property-type analysis reports to examine development options. For a number of years, Gadsby Nichols have acted on behalf of a considerable number of local and national developers, as can be seen from the developers logos below, together with offering residential land for sale. AN EXCITING RESIDENTIAL DEVELOPMENT OPPORTUNITY, for a residential development of SIX, ZERO-CARBON, HIGHLY INDIVIDUAL DETACHED residences, enjoying a site of OVER HALF-AN-ACRE, adjoining woodland to the rear, on the fringe of the popular town of Belper. PLANNING PERMISSION has been GRANTED with Amber Valley Borough Council, AVA/2018/0025, for the development of six dwellings at Primrose Wood, Crich Lane, Belper. 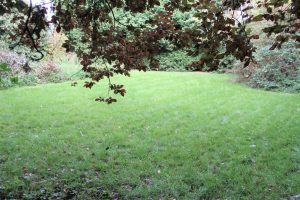 We understand that site extends to over 1/2-acre, being approximately 2,900-sqm/3,470-syds and enjoys a particularly favourable setting, with adjoining amenity land and woodland being available by way of separate negotiation. 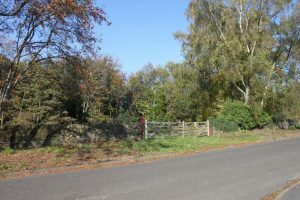 AN EXCELLENT RESIDENTIAL DEVELOPMENT OPPORTUNITY, in a highly convenient location within minutes walking distance of Ripley town centre and amenities. 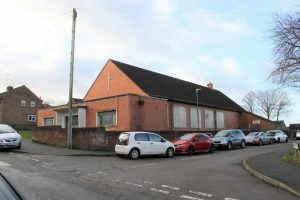 PLANNING PERMISSION HAS BEEN GRANTED under the Amber Valley reference AVA/2017/0568 to demolish the existing Church Hall and redevelop the site with TEN DWELLINGS, with off-street parking, which would be situated on the opposite side of Moseley Street fronting Ridgedale View. We understand the total site area extends to approximately 1,826 sqm., comprising two parcels of land. The main parcel of land would be the existing Church Hall at approximately 1,574 sqm., and the second parcel being the opposite side of Ridgedale View for the parking allocation, with an area of approximately 252 sqm. Offers Around £350,000 (three hundred and fifty thousand pounds) – SOLD. A RARE AND EXCITING OPPORTUNITY TO ACQUIRE A SINGLE, RESIDENTIAL BUILDING PLOT, EXTENDING TO APPROXIMATELY 1,353 sqm./1,600 sq. yds. 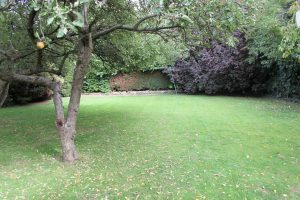 (approximately 1/3-acre), in this premier residential location, with frontage to Weston Road, and extensive south-easterly-facing rear garden, adjoining open countryside. 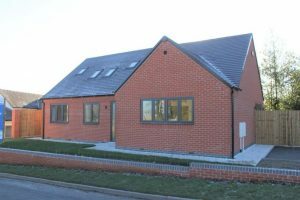 PLANNING PERMISSION HAS BEEN GRANTED by South Derbyshire District Council under planning reference 9/2018/1037, for the erection of a detached four-bedroomed dwelling, with associated works, with the date of decision being 18th December 2018. The proposed, high-specification dwelling will extend to approximately 3,392 sq. ft./315 sqm, but could be altered to the individual specification of the purchaser(s), subject to obtaining the usual planning and building regulation approvals. 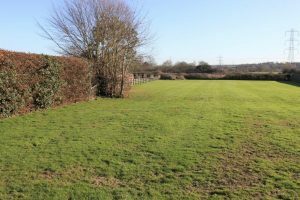 A RARE AND EXCITING OPPORTUNITY TO PURCHASE A SINGLE, RESIDENTIAL BUILDING PLOT, with outline planning permission granted for a single residential dwelling. 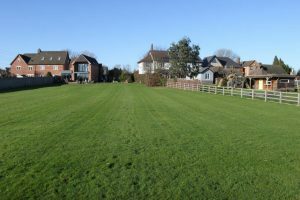 The land extends to approximately 1,200-sqm (over one-quarter of an acre) with private access from the prestigious private road of Keats Avenue, in a mature location within walking distance of the Royal Derby Hospital, Derby High School, and Littleover Village Centre. 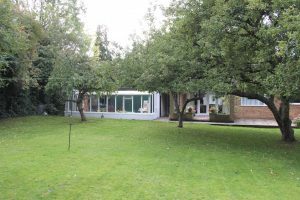 The plot enjoys a a delightful, secluded setting adjoining and enjoying southerly aspects to the rear over Mickleover Golf Course. a three/four-bedroomed detached cottage-style residence with detached double garage. 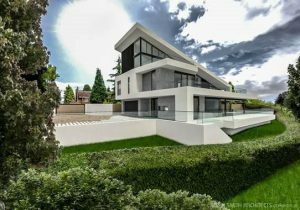 A STUNNING NEW, THREE-STOREY HIGHLY INDIVIDUAL, ARCHITECT-DESIGNED SUPERIOR DETACHED RESIDENCE, enjoying a prestigious secluded location off the private cul-de-sac of Keats Avenue, adjoining and enjoying southerly aspects over Mickleover Golf Course to the rear. On completion, the property will extend to over 5,000-sq. 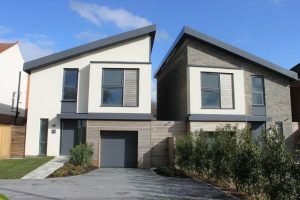 ft., and will be constructed to a high specification, offering superb accommodation over three levels, specifically designed to ensure maximum light with terraces on each level, to afford superb southerly views. 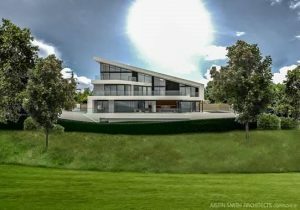 Completion for this stunning new property is anticipated for Autumn 2019, although prior to commencement of construction, there is the rare opportunity for the discerning purchaser to request from the developer a revised property on a DESIGN-AND-BUILD BASIS, subject to obtaining new planning and building regulation approvals. Further plans are available. EXCELLENT INCENTIVES ARE AVAILABLE FOR RESERVATIONS MADE BEFORE THE END OF JANUARY 2019. 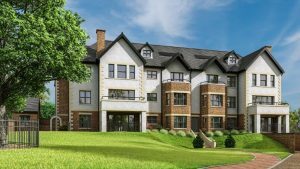 THE MOUNT is a stunning apartment development of only FOURTEEN LUXURY APARTMENTS, to be constructed to the highest quality and standards. The Mount is set in a desirable location commanding views to the north over The Peak District, in one of the most sought-after parts of Ashbourne, affording accessibility and convenience with easy access to local shops, restaurants, and major road networks. 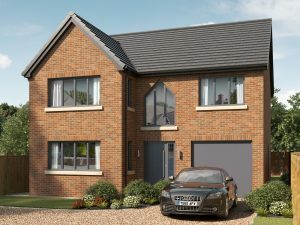 A superb new development by the highly regarded local developer, Chapter House Developments, of only two new properties being No.1 and No.2 The Orchards, situated in a sought-after location off the private road of Ashleigh Drive, to the rear of 154 Derby Road, Chellaston. 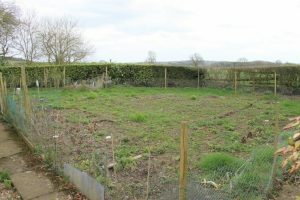 Completion of Plot 1 is scheduled for late-Spring/early-Summer of 2018. A Rare Opportunity to become the Purchaser of a unique Individual detached Family Home, Comprising 5 Bedrooms laid out over 3 floors Architecturally Designed a modern relaxed living environment awaits incorporating a host of individual and external features and set within an extremely high quality established residential street with open overlooking views on to the Kedleston Estate. 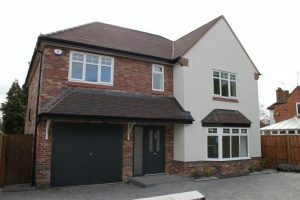 The properties are being constructed by NHBC Multi Award Winning Builder Developer Greenbuilt Homes Ltd who have been building select properties in and around the Derby area over the last 14 years. 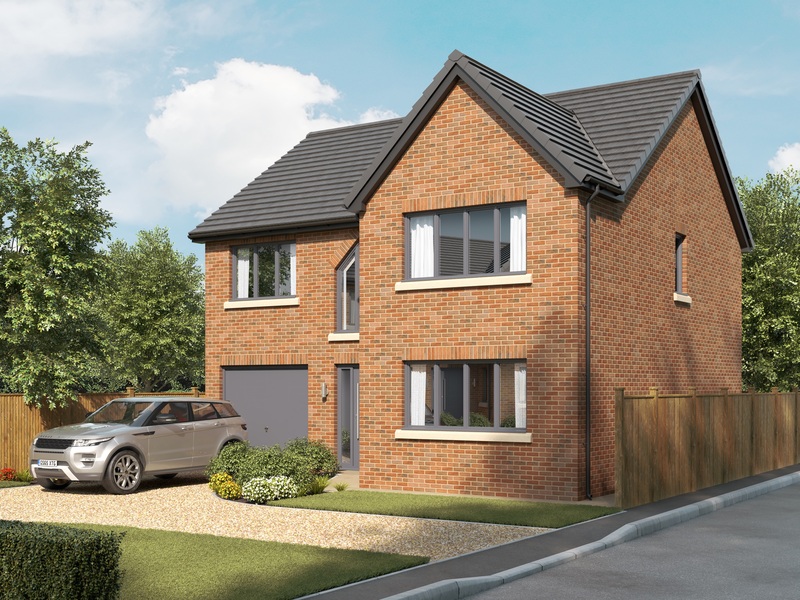 Both houses will have individual entrance driveways off Kedleston Road with a large turning area that will accommodate vehicle parking for several vehicles an oversized integral garage providing further space. 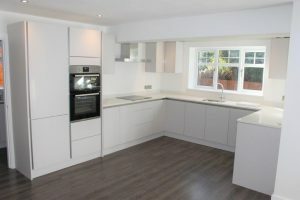 A SUPERB, NEW INDIVIDUAL FOUR-DOUBLE-BEDROOMED, SUPERIOR DETACHED residence, enjoying a popular location fronting the tree-lined East Avenue, within the desirable suburb of Mickleover close to Station Road. Available with IMMEDIATE VACANT POSSESSION, and requiring early internal inspection to be fully appreciated, the extremely high specification and well-proportioned accommodation has the benefit of gas central heating (under-floor to the ground floors), UPVC double glazing and security alarm, and briefly comprises; GROUND FLOOR, wide canopy Entrance Porch, Reception Hall, front Lounge, and superb open-plan Living Dining Kitchen affording modern contemporary living, together with Utility Room, and Cloaks/WC. 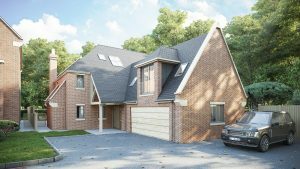 FIRST FLOOR, landing, Master Double Bedroom with En-Suite Shower Room, a further Three Double Bedrooms, and luxury Family Bathroom. OUTSIDE, large Single Garage, ample car standing to the front, and approximate south-facing, landscaped rear garden. 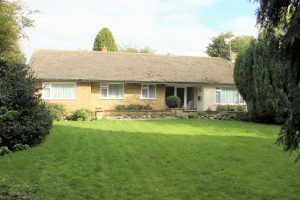 AN EXCELLENT REDEVELOPMENT OPPORTUNITY, comprising an individual and SUBSTANTIAL DETACHED BUNGALOW, with a proposal for FIVE NEW DETACHED HOUSES within the existing grounds and enjoying a SITE AREA of approximately 2,650 sqm. (3,160 sq. yds. ), under application code DER/05/1600583. Under the proposal the existing property is to be retained, and having the benefit of oil-fired central heating and extensive double glazing, the accommodation briefly comprises; INTERNALLY, wide Entrance Porch, Reception Hall, generous Lounge, separate Dining Room, Study/Bedroom Four, Inner Hall, Kitchen, Rear Porch, a further Three Bedrooms, and modern Shower Room. 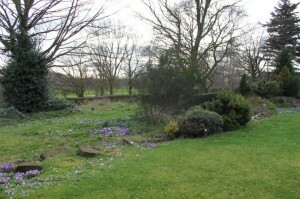 EXTERNALLY, extensive grounds, and detached garage.